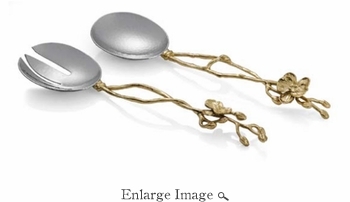 The Michael Aram Gold Orchid Collection illuminates the ethereal spirit of the orchid flower. Evocative of prosperity, wisdom, and success. Optimistic and positive, gold adds richness and warmth to everything with which it is associated – it illuminates and enhances other things around it.